Colobus Conservation was established in 1997 as a not-for-profit organisation to promote conservation of the colobus monkeys and address the threats to its survival. The organisation works in partnership with local communities to promote the conservation of the colobus, along with other endemic primate species, and the unique coastal forest habitat on which they depend. Today Colobus Conservation programmes focus on habitat conservation and community linkages as well as human/primate conflict management, welfare, education and research. The objectives and work of Colobus Conservation is recognised internationally by AZA Colobus Species Survival Plan (SSP), Pan African Sanctuary Alliance (PASA) accreditation and are supported by well known conservationists Jonathon and Angela Scott through their role as Patrons. 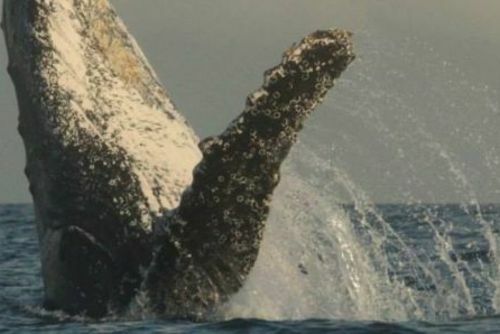 The forest ecosystem of the coastal areas of Kenya and Tanzania is listed as one of the top global biodiversity hotspots by Conservation International. With high levels of endemic and near endemic species, these forests abound with plants and animals found nowhere else in the world. Included in the primates are the nationally threatened Angolan black and white colobus (Colobus angolensis palliatus). This is a forest and woodland dependent species eating mainly leaves, flowers and fruits with a specially adapted digestive system that enables them to live in their unique environment. Their distinctive appearance has given them a unique place in local cultures and their reducing numbers is partly because they have long been hunted for their skins which have special significance in local African tribal customs. 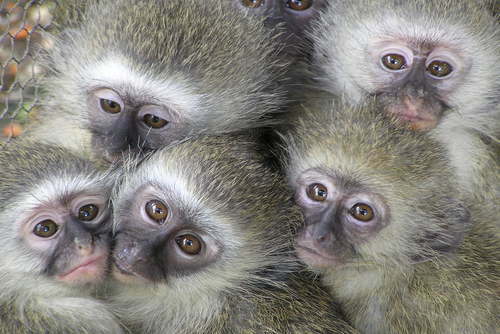 Today however, the greatest threat to these primates is habitat destruction. In Kenya the once extensive coastal forests on which the Angolan colobus depend, has been reduced to a fragmented patchwork along a narrow coastal strip. This fragile resource is made up of gazetted forest reserves and conservation areas; community managed forests and woodlands, including culturally important sacred “kaya” forests; and privately owned forest and woodland patches. Sadly, forest loss and degradation is continuing due to pressures from agricultural expansion, urban development, tree cutting for firewood, charcoal, carving wood, and clearance for mining. Colobus Conservation was established in 1997 as a not-for-profit organisation to promote conservation of the colobus monkeys and address the threats to its survival. 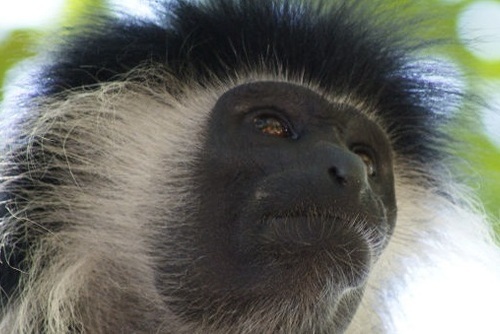 The organization works in partnership with local communities to promote the conservation of the colobus, along with other endemic primate species, and the unique coastal forest habitat on which they depend. Today Colobus Conservation programmes focus on habitat conservation and community linkages as well as human/primate conflict management, welfare, education and research. The objectives and work of Colobus Conservation is recognised internationally by AZA Colobus Species Survival Plan (SSP), Pan African Sanctuary Alliance (PASA) accreditation and are supported by well known conservationists Jonathon and Angela Scott through their role as Patrons. Animal Care - All the monkeys that live on site in both the short and long term rehabilitation enclosures need to be cared for daily. In teams of two or three people, daily animal care duties begin with cleaning all the enclosures, feeding and ensuring the days enrichment for the animals has been installed in the enclosures. The remainder of the day is spent providing further food bowls for the animals, collecting wild leaves and preparing enrichment. De-snaring - Simple ‘noose’ snares are frequently set in the forest and bush areas around Diani with the aim of capturing Suni (a small antelope). 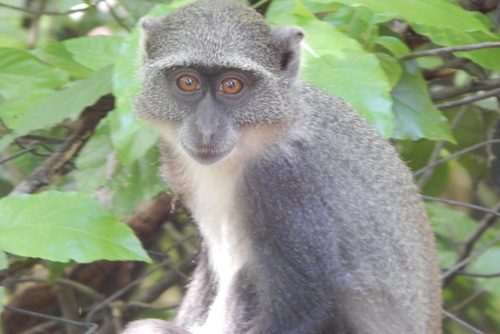 Due to the terrestrial nature of many of Diani’s primates, these animals are also often caught. Our field operation team regularly de-snare patches of the forest and extra eyes are always needed. Bridge Building - The home ranges of Diani’s primates have been bisected by a major road, and they are subsequently very prone to road injuries. The centre is reducing this problem through the construction of canopy bridges known locally as ‘colobridges’, which span the road from tree canopies on either side. Volunteers may be required to assist with the practical construction of bridges at ground level and data collection to assess their level of use. Colobus Corridor - Much of the forest within Diani has already been lost to development and the remaining forest is fragmented and isolated. The centre is working to encourage hotel owners and local residents to replenish the natural environment. We also actively encourage, assist and monitor local land owners planting indigenous trees. 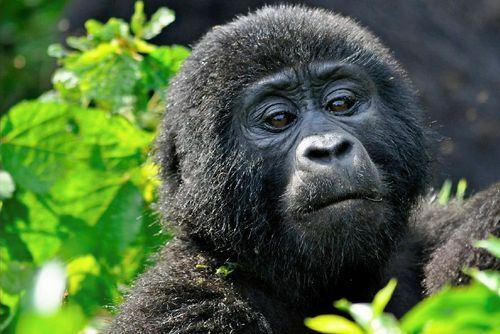 Research - Research projects currently being carried out at the centre include primate feeding ecology, behavioural and phenology monitoring, primate census, forest surveys, rehabilitation and release processes and hotel pest assessments, community surveys. 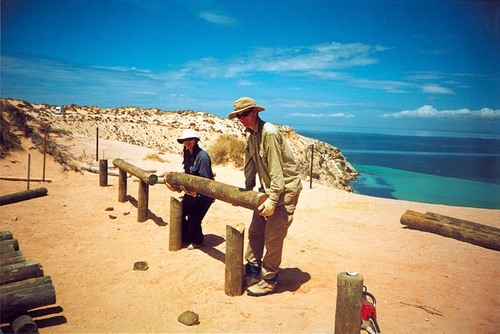 Eco-volunteers may gain experience in conducting field research whilst working alongside a staff member or one of our researchers. Fundraising - The centre is a ‘not for profit organisation’ meaning that fundraising is a very important part of our work. Each year we organise several fundraising events and write proposals for grants - volunteers are required to help in both aspects. 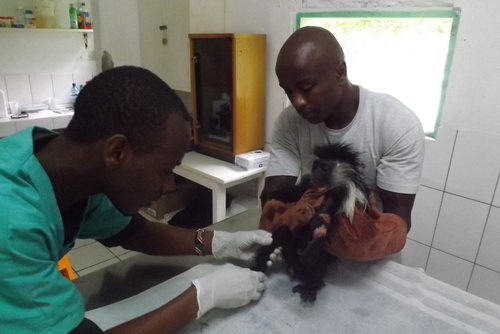 Publicity - Every week the centre publishes a colobus blog. Volunteers are requested to help in producing this by editing, taking photographs and contributing articles. Other work includes: assisting with education displays, distributing publicity locally around Diani, attending local events, translations, and nature trail development. 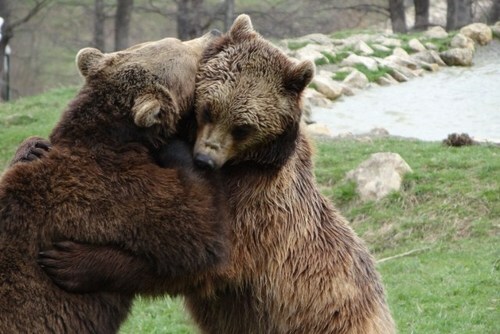 General - Volunteers may also be required to assist in general aspects of the running of the centre including some office duties, painting and general maintenance of enclosures, data input, shopping, deliveries plus researching & writing to potential donors for equipment. 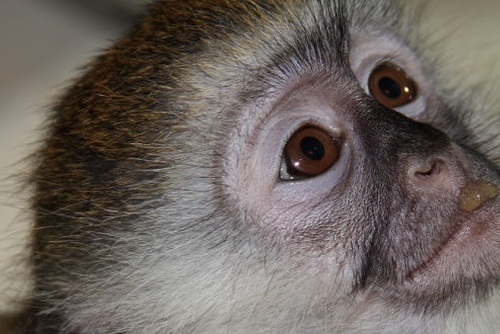 Primate Rescue - The centre responds to calls to rescue injured monkeys. Our staff members deal with the actual animal rescue as this work can be dangerous and requires specific training and experience. However, there are plenty of opportunities for volunteers to observe rescues, assist in the measuring of animals, observing the vet work and monitoring the animal post-treatment and post release. Emergency Veterinary Care and Quarantine - We have a small veterinarian clinic on site and all procedures are over seen by our licensed Kenyan vet. However, volunteers are welcome to observe, take post op observations and keep records. Orphan Care - The centre regularly receive animals that have been orphaned and require hand-rearing in order to survive. While this is rewarding work, an exceptionally high level of commitment and patience is required. Orphans may arrive at any time of the year, but we have a pronounced orphan season between November and February. Education - The centrehold weekly education workshops for local school children. Volunteers can assist the colobus team by helping organise the workbooks, preparing snacks for breaks and engaging with the children throughout the day. Great place for an instructive and fun volunteering experience. Enjoyed being part of the conservation efforts on monkeys as well as other wildlife. 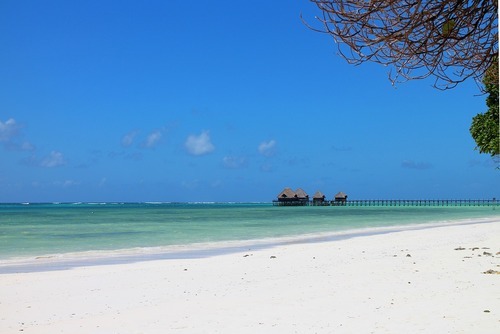 Nice food and great experience of Diani beach. 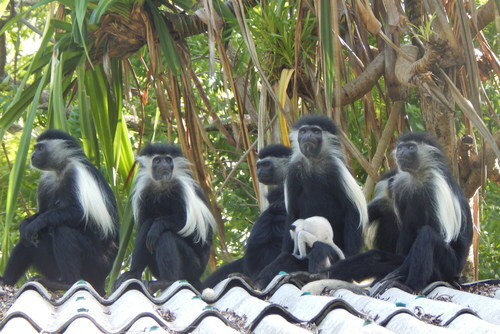 I have been to the Colobus Conservation several times when friends come to visit I take them there. 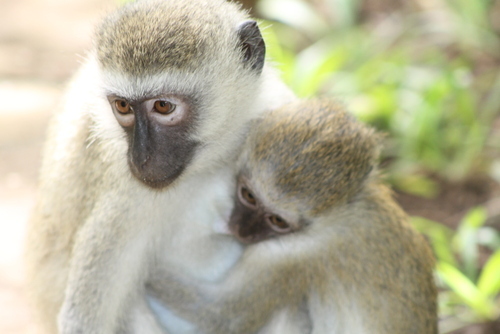 The tour provides valuable information and sensitizes the visitors in regard to the wildlife and cause of preservation of specifically the Colobus, but also other species like sykes, vervets and baboons. It's very well worth to visit and support! 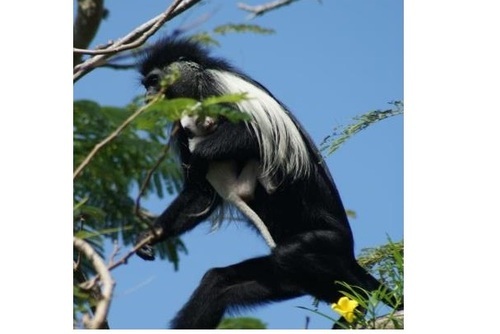 Without the Colobus, Diani wouldn't be the same! 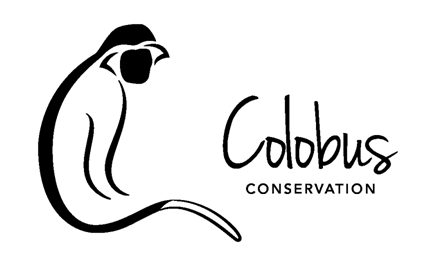 Have you booked with Colobus Conservation? Please share your experience and submit your review.